The Museum of Scotland has been caught up in a row about whether it has permission to exhibit a casing stone from an Egyptian pyramid. 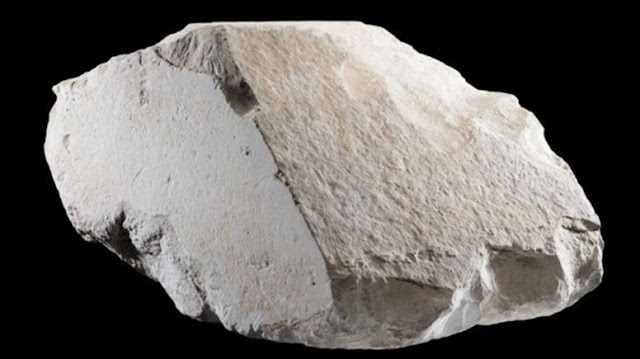 It was announced last week that a block of limestone from the Great Pyramid of Giza was to go on display in Edinburgh. Egypt's Antiquities Repatriation Department has since cast doubt over its authenticity and documentation. However, the museum has insisted that a British engineer was given permission to take the stone in 1872. 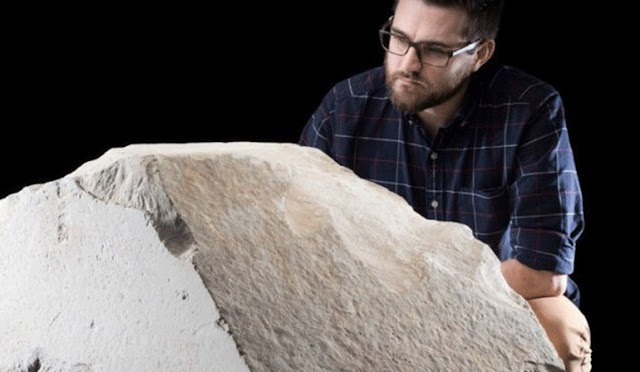 The pyramid stone is due to go on public display for the first time next month as the centrepiece of an exhibition on ancient Egypt in Edinburgh. But Shabaan Abdel Gawwad, supervisor-general of Egypt's Antiquities Repatriation Department, has said he wants an official team to visit Scotland, asking for a certificate of possession and export documents. He said measures would be taken to repatriate any artefacts found to have been illegally smuggled out of his country. Mr Abdel Gawwad also said he did not believe the stone was from the Great Pyramid of Giza, as the museum claims. He said: "The ministry of antiquities has addressed the Egyptian Ministry of Foreign Affairs to take necessary measures to contact Scottish authorities and the museum asking for a certificate of possession and export documents for the casing stone and how it left Egypt and when the museum obtained it. "We want to see all certificates of possession for other Egyptian artefacts due to be exhibited in the museum as well. "The Egyptian law on protection of monuments no.117 for 1983 stipulates that trading or exporting antiquities is a crime. "If it's proven that this block or any other artefact were found to have been illegally smuggled, necessary measures will be taken to repatriate them." 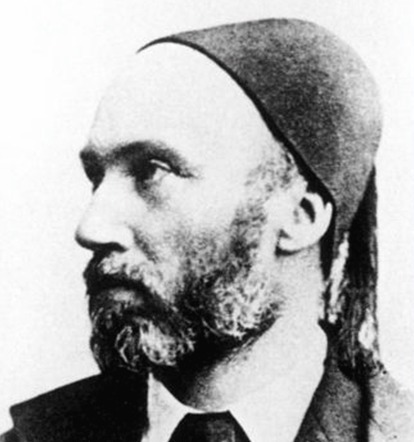 Officials at the museum, in Edinburgh's Chambers Street, told the BBC Scotland news website the casing stone came from the Great Pyramid of Giza, and was found by British engineer Waynman Dixon, working on behalf of the Astronomer Royal of Scotland, Charles Piazzi Smyth. He uncovered it in a rubble heap from road works being undertaken by the Egyptian government in 1869. 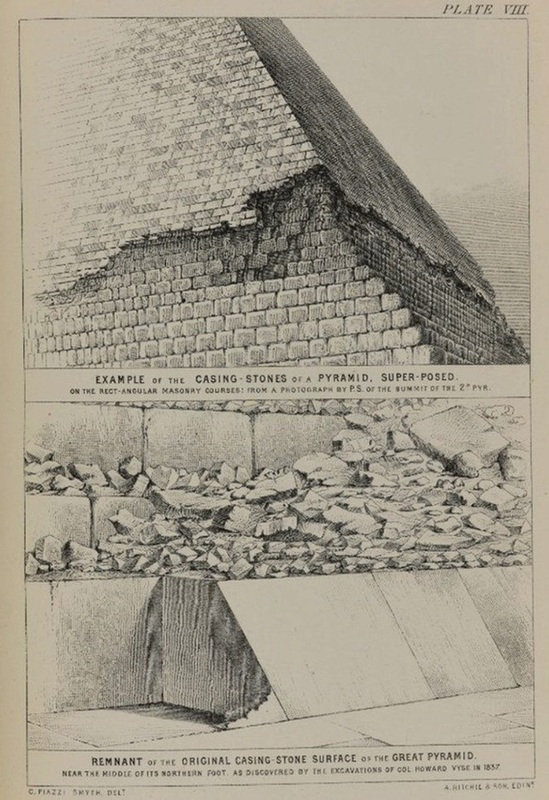 A spokeswoman for National Museums Scotland said: "In 1865 Piazzi Smyth had initiated a programme of research including the first largely accurate survey of the Great Pyramid. "In doing so, he had the official permission of the Viceroy of Egypt and the assistance of the Egyptian Antiquities Service. "The stone was brought to the UK by Waynman Dixon in 1872 and transported to Charles Piazzi Smyth in Edinburgh. "After reviewing all the documentary evidence we hold, we are confident that the appropriate permissions and documentation were obtained, in line with common practice at the time." It has been reported in Egypt that the casing stone could not be from the Great Pyramid of Giza because it is made of the wrong material. Egyptian experts said that the outer layer of the pyramid was made of granite, like the pyramids of Khafre and Menkaure, and not of limestone as the National Museum of Scotland claims the casing stone is made from. However, a museum spokeswoman added: "The Great Pyramid was originally clad in fine Tura limestone. "Even today, some limestone casing stones still remain at the base of the pyramid. "The block in our collections was discovered at the foot of the Great Pyramid, and we are confident that it is a casing stone from it." The museum said the stone was one of the few surviving casing stones from the Great Pyramid and will be displayed in a new, permanent gallery at the museum called Ancient Egypt Rediscovered. It forms the centrepiece of the Museum of Scotland's display about the design and construction of pyramids in ancient Egypt, and will be the only display of its kind in the UK when it goes on show on 8 February.